The eating experiences of the wild African elephant, Loxodonta africana, over several decades have been difficult to measure until isotopic studies came to the rescue. No existing species' diet has been studied for longer, indicating a generalist approach by the populations. They increasingly converted to a grass diet over the time of the study, Stable isotope series from elephant ivory reveal lifetime histories of a true dietary generalist, by Jacqueline Codron et al in the Proceedings of the Royal Society B: Biological Sciences (many researchers from South Africa, Switzerland, US, France and UK took part.) The implications for all herbivores, and indeed many animal populations, is that you need to widen your dietary intake. 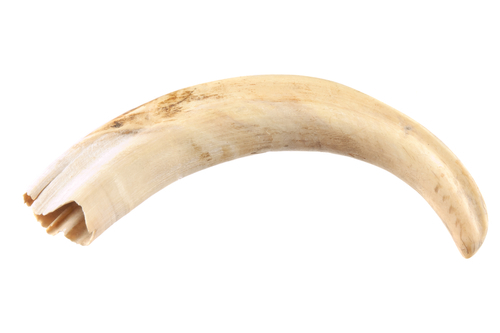 Tusks from the elephant museum of Kruger Park and from Transvaal Museum gave the data of isotopic diet variations, using collagen with carbon and nitrogen isotopes and carbonates with carbon and oxygen isotopes. Individual elephants could vary a lot, indicating that their niches were broad and overlapping. There was very little sign of highly individualised feeding, as you would expect in herd animals. However many of the specimens were taken from males, which would live alone in most cases. Similar results from tail hair of elephants in Kruger Park confirmed that both male and female specimens produce the same broad-based results .Within the specimens, there was a lot of variation in collagen values, while there was very little variation between individuals. The results have repercussions on theories about all large mammal dietary habits. With large bite sizes and equally large areas to roam in many species, the heterogenous niches (or "landscape") need to carry a broad range of food items. Elephants are well-known to switch between browsing/grazing modes, so avoiding environmental disturbance. While other studies have failed to prove decisive, this research indicates constant switching. Kenyan evidence from Tsavo National Park implies 50 years of a constant diet, while South African research has supported graze/ browse switching between grasses and woody vegetation. Again this research can accommodate all such results because it clearly shows a large variation in the diet of individuals. Grass has constituted greater and greater percentages of elephant diet over several decades while trees have declined in the diet, mirroring the loss of those types of habitat. It must be admitted that elephants are often the cause of the loss of forest habitat! So it seems elephants are capable in theory of creating/destroying environment almost as easily as the human species. In contrast to these large herbivores, other animals are thought to have populations which exist in narrow and specialised niches. The whole dynamics of communities is affected by these specialisations, while evolutionary divergence is affected by the amount of the specialisation. Diet specialisation is probably among the most likely of dead-ends. That would apply in the evolutionary sense, and also to food supply difficulties as habitats and prey species disappear in carnivores too.